You’re going to want to stand up, stretch and exhale an intense “om” after seeing this mom and her little kids doing yoga together. 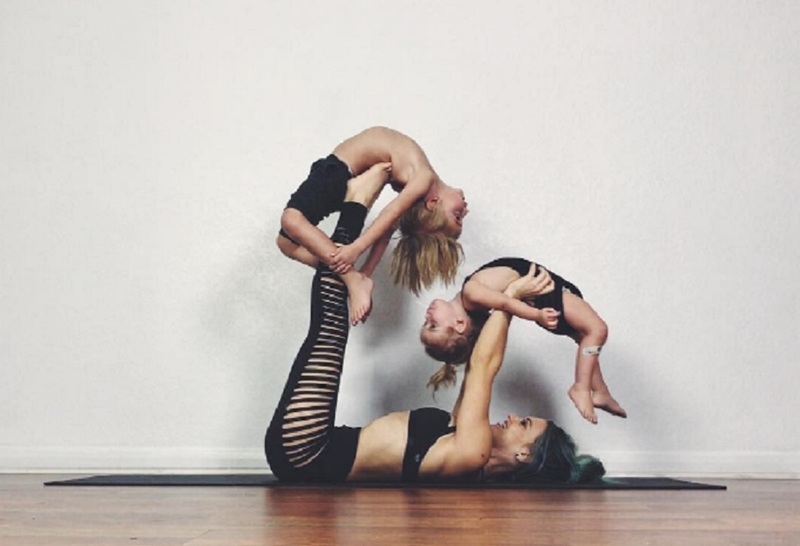 Spotted at BuzzFeed, mother of two and yoga queen Charity LeBlanc has enlisted her little ones — 2-year-old Felicity and 5-year-old Oakley — to strike some of the most advanced yoga poses with her, and OMG, you guys, they are the epitome of #everythinggoals. No, because that’s a task best handled by a half yogi, half supermom. And even climb the walls together. Here’s Oakley, Felicity and a teddy bear doing down dog splits. Here’s LeBlanc and her kids effortlessly killing this backbend pose. TFW you know your mom’s a total badass. Demonstrating the beautiful balancing act that is motherhood. Just throwin’ this in because it’s unbelievably cool. Major sidenote here, but did we mention LeBlanc also does YouTube makeup tutorials? So, can everyone join us in declaring her as the most fab mom ever? We’re off to locate the sign up sheet to become an official part of this family, because we’re so ready to be adopted by them.